BlackBerry did not add a key to the keyboard for more than 10 years; however KEY2 comes with a Speed Key. Speed Key is the nine-dot matrix labelled key which is present in the lower right. This facilitates use of any of the 52 keyboard shortcuts that you create from any of the screen. 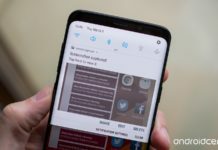 He best part about this is that you need to make less taps, do not require to go back to the main screen, your things remain intact if you switch between the screen. With all such benefits, that it has in store to offer to you, here we are with the steps to use the Speed Key and BlackBerry KEY2 keyboard shortcuts. When you log into your KEY2 for the first time, you get the prompt to set up keyboard shortcuts. 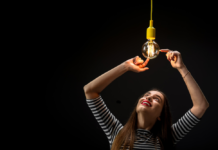 You might or might not notice the same and prefer heading forward by ignoring it so as to save your time and inconvenience that setting up keyboard shortcuts may cause. If you have ignored the same, then we are here with an alternative way for you to follow the same. You need to firstly tap on the Speed Key three or more times which lead you to a screen that allows you to know the purpose of the Speed Key. Also, you get to know the shortcut to go right to the settings page. You need to long press any vacant spot on your home screen which opens a window. Here you need to click on settings, following this choose Keyboard Shortcuts in the next window that opens. Now open the device Settings and scroll down to Shortcuts and gestures. Here you need to choose the Keyboard shortcuts. Once you do this, you will be able to see a list having letters A – Z. There are few that will have app or actions icons next to them which imply that a shortcut is already set for them. You can simply Edit or Delete these. Long Press and Short Press tabs present at the top of the screen. This allows you to create two different shortcuts for the same keyboard key. One is assigned to a normal tap while other triggers if you press and hold the key. Select long press or Short Press shortcut by selecting the correct tab. Find the letter you want to apply for the shortcut. Next you need to choose the green plus sign so to assign a new shortcut. You may use the list of shortcut types for this. Now click on Open app that allows you to open any installed app. With Speed Dial you can choose a number from your contacts so as to call. Send Message can be used to send an email or SMS message to any of your contacts. 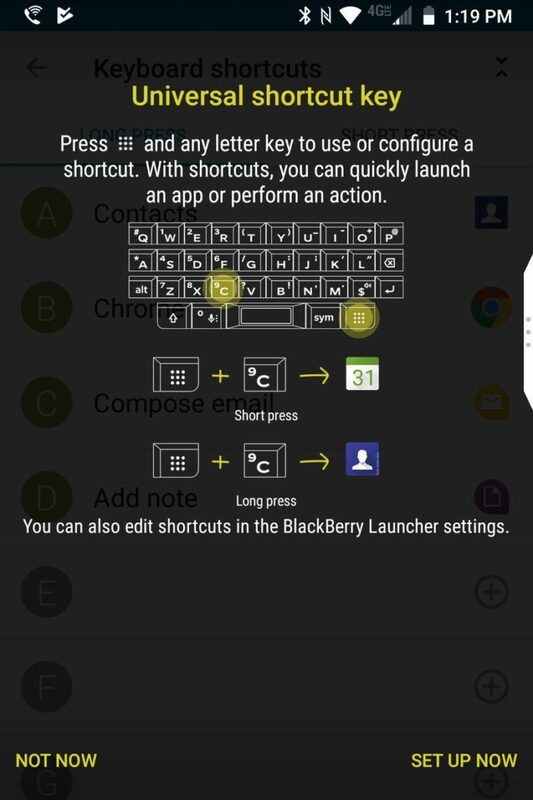 All in all, these are the steps to use the Speed Key and BlackBerry KEY2 keyboard shortcuts. Speed Key is known to work with the regular keyboard shortcuts that you set up using the above instructions. You can use the Speed Key is easy by pressing the Speed Key on any screen then the shortcut key for the app.